Equipped with an ARM Cortex™-M7 processor (32 bit, 400 MHz), the CX7000 Embedded PC makes considerably higher processing power available in the low-cost, compact controller segment. 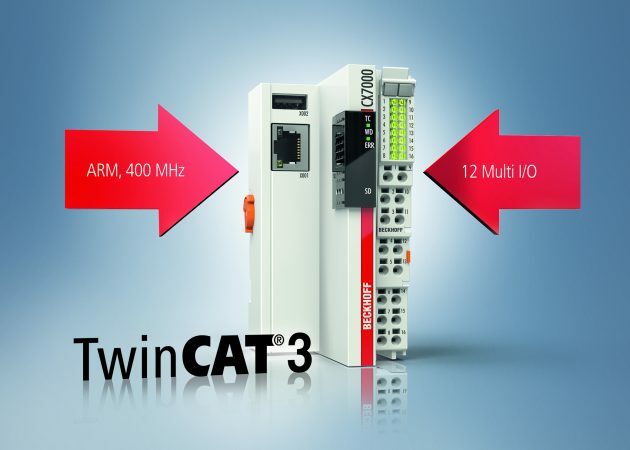 Furthermore, all the advantages of the TwinCAT 3 software generation can be utilized. The extremely compact design of the CX7000, with dimensions of just 49 x 100 x 72 mm, ensures optimum scalability of PC-based control for small controller applications that typically require minimum footprint. Four digital outputs, 24 V DC, 0.5 A, 1-wire technology. PWM signal mode: 2 x digital outputs configured for PWM signal.